There are many myths and stereotypes about homelessness, further contributing to the stigmatization of a population that is already marginalized. A rise in homelessness followed the Great Recession in 2008 and may have worsened since then due in part to a drop in funding for public rental assistance after the U.S. Department of Housing and Urban Development (HUD) experienced budget cuts. 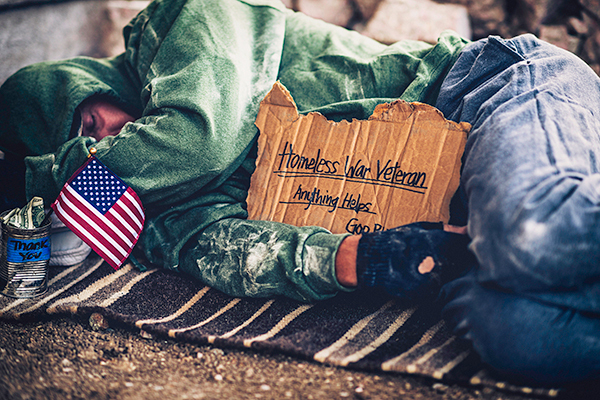 Some of the factors increasing the potential risk of becoming homeless are evident in the statistics, such as women and children experiencing abuse or military veterans coming out of service without a home. Other factors may not be as obvious. As a case manager in a hospital or community setting you are in a perfect position to seek information to uncover these situations. Your client does not need to be ex-military in order to suffer from post-traumatic stress disorder (PTSD). This disorder usually develops after someone has experienced a shocking, scary or dangerous act. Still, not every person who develops PTSD has been through a dangerous event. Sometimes an unexpected loss of a loved one can also trigger symptoms. Although symptoms vary, they must last for more than enough a month and be severe enough to interfere with relationships or work to be diagnosed as PTSD. Those with acute PTSD often recover within six months, but others go on to suffer a chronic condition. Uncovering the symptoms and getting effective treatment is critical to reducing symptoms, improving function, and reducing the risk for homelessness. Symptoms may include recurrent or unwanted memories of the event, or reliving it as if it were happening again, such as flashbacks. Clients may report having nightmares about the traumatic event or experiencing severe emotional distress or physical reactions when confronted with something reminding them of the event. Those with PTSD also try to avoid thinking or talking about what happened and avoid places, activities, and people that may be reminders. Addiction is a complex brain condition manifested by compulsive use of substances like drugs or alcohol, despite harmful consequences. The substances cause changes in how the brain functions usually lasting longer than the immediate effects of intoxication. Over time, those with addiction also build up tolerance to the substance, which means they need larger amounts to feel intoxicated. People may start taking drugs or drinking excessive amounts of alcohol to feel pleasure, out of curiosity or peer pressure, to relieve stress and improve performance. Once the substance changes behavior, it becomes an addiction. Hallmark behavioral changes are characterized by compulsive and difficult to control drug-seeking actions. While it may appear to be a lack of self-control on the surface, an addiction is far more complex, less forgiving, and a long-term brain disorder triggering conflicts in personal relationships, declining health, difficulty meeting responsibilities, legal troubles and uncontrolled debt. These external signs increase the risk your client may become homeless. Poverty increases the risk for homelessness as the financial burden to pay for housing, food, health care and education becomes unbearable. When limited resources are available, difficult choices must be made to cover the necessities. Lack of employment opportunities and a decline in available public assistance contribute to the national poverty rate, and impact the risk of your case management client becoming homeless. Other conditions increasing the risk are physical, mental and sexual abuse. Women suffering under these conditions may choose to leave the home to protect themselves without having a place to live. Nearly 50 percent of cities surveyed by the U.S. Conference for Mayors identified domestic violence as the primary cause for homelessness in the city. The difference between those who suffer these conditions and become homeless and those who don’t may be related to the social support available in their families and community. One study tracking 5,000 homeless people for two years found investing in comprehensive health support for physical and mental illness was more cost effective than incarceration, shelters, and hospital services for the untreated. As a case manager, it’s critical to your client’s healthcare and mental and physical safety that you identify potential risk factors pointing to homelessness and develop interventions and strategies to reduce the risk. 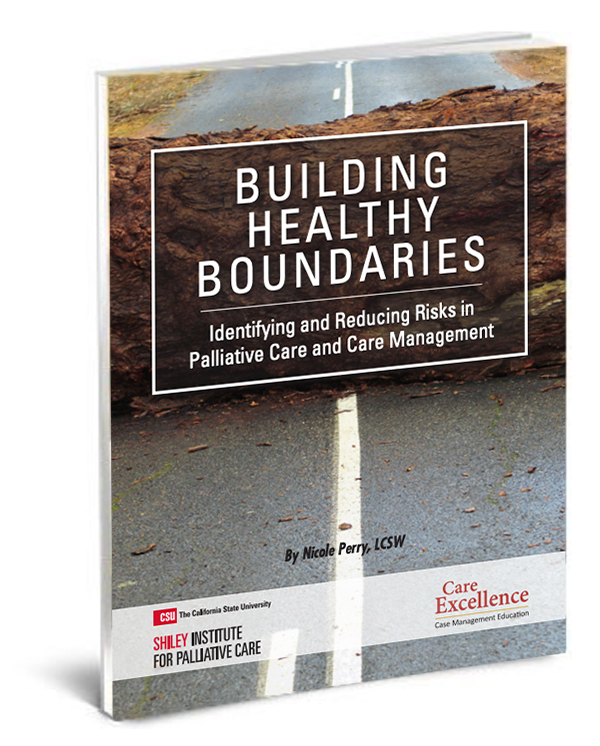 These may be complex interventions requiring a team approach from institution and community-based professionals. It may be important to think “outside the box” to accomplish your goals with individual clients.